Those of you who know Mrs. Otter Vale are aware that she’s not from round here, and anyone who hears her speak will quite quickly realise that too. That said, Mr. Otter Vale takes great pleasure in reminding her that she’s now officially middle-aged, and has been over here in the South West for longer than anywhere else, so she’s semi-local. I spent my summers growing up running wild along beaches in the north west of Ireland with my sister and extended family, as my mum was a schoolteacher and cousins all got a stint by the sea. We slept in a tiny caravan, the loo was in a brick hut (which was quite advanced), we didn’t have a fridge. So we relied on the land, sea and local produce for our meals, way back before it was fashionable. Much time was spent with my grandfather, uncle and favourite cousin, all great fishermen. Their wonderful depth and breadth of knowledge of the countryside, and their tremendous respect for it, was instilled into all of us younger ones. We usually fished off rocks and piers, occasionally off small boats, often using limpets tied on with sheeps’ wool for bait; catching just enough to feed however many hungry kids mum was looking after that week. We would start to see mackerel coming in by May, and by the time we were on our summer holidays, we would often hit shoals. We had to be careful when using spinners not to catch too many. We learned how to handle and prepare our fish, and it was always cooked fresh and simply, by necessity. Back then, in the late 70s and 80s, mackerel wasn’t a commercially popular fish; but we loved it. Mackerel has long been my favourite fish, probably because of these childhood memories, and also because of its beauty, and grace in the water. We were lucky enough to have gooseberry bushes in the garden, and to this day they are one of my favourite fruits, be it plucked from the bush (fuzzy tongue!) or in a creamy gooseberry fool. Mother Nature’s no fool though, and has very kindly ensured these two foods are in season at the same time. Our first blog in the “You Otter Know” series will discuss the potential ecological and health benefits of choosing mackerel over other fish. 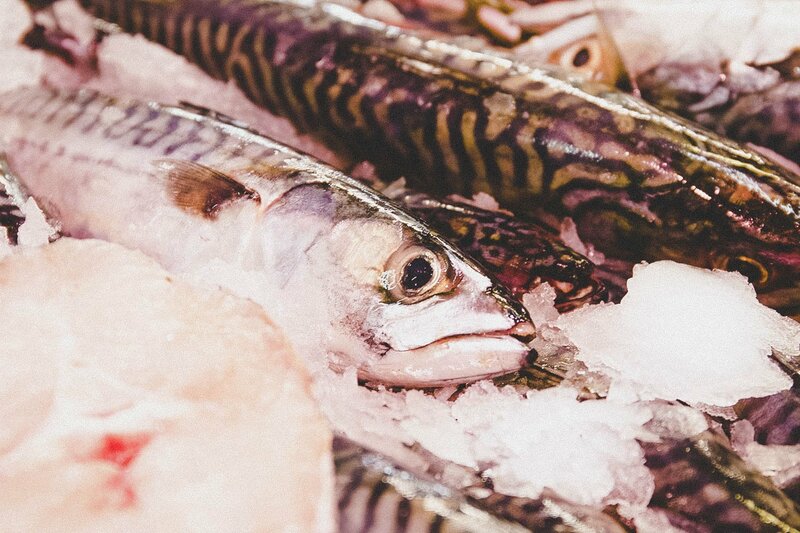 We’ll chat with local fishermen and fishmongers about the relative scarcity of mackerel this year, as well as tips on preparing and storing this oily fish, and of course, suggest some great ways to enjoy it to the full! N.B. Whilst permission to link to the MSC and the MCS has been sought and granted, links included in this article in no way suggest an endorsement of our products or a formal relationship between Otter Vale and the linked charities/sites. The Atlantic mackerel (Scomber scombrus) is a distinctive fish. The term is said to mean “marked”, and it is described by British Sea Fishing as a “streamlined small fish … almost tropical looking marbled blue/green back with around twenty black bars running down the flanks. Shiny silver belly and … highly forked tail”. They migrate to the UK in the spring and early summer before heading off to warmer waters to spawn. It became increasingly popular from the 1990s onwards for a number of reasons. It’s a fish which can be cooked in a number of ways which, combined with its strong flavour, made it interesting to home cooks and chefs alike. The purported health benefits of oily fish became more widely reported, sparking interest. As mackerel lives in the upper levels of the sea, it can be fished by amateurs and commercial fishermen alike without needing to use damaging equipment which could damage the seabed, which appealed to people becoming more aware of the ecological impact of fishing. This did spark what was known as “The Mackerel Wars”, resulting in North Atlantic mackerel losing the Marine Stewardship Council’s sustainable status, which it only regained in 2016. No licence is required to land mackerel, and you can catch them off the shore, pier, rocks or a boat. Only those over 30cm/12in should be taken; and please, never take more than you know you can eat or use. If you’re out on one of the many local angling trips, you may get to see a shoal of mackerel hunting – it’s an awe-inspiring sight, with sections of the sea appearing to bubble and boil. Michael Phelps has nothing on these boys; they can do one length of an Olympic-size pool in about 10 seconds! In the 1970s, studies discovered low levels of death from heart disease amongst natives of Greenland, where fatty fish makes up a large proportion of the diet. Similar results were seen in people from other traditionally fish-eating cultures, such as Japan and the Mediterranean, and researchers considered the possibility that eating fish conferred such benefits. ALA or alpha-linolenic acid, which we can’t make, so must take in from certain oils, nuts and leafy green veg. EPA (eicosapentaenoic acid) and DHA (docosahexaenoic acid) which can be made from ALA in our bodies, and are thought to have the most direct health benefits. They may protect the heart and blood vessels from disease, and may be important for memory function as well as playing a role in the prevention and treatment of depression. These fats are also important in pregnancy and breastfeeding. 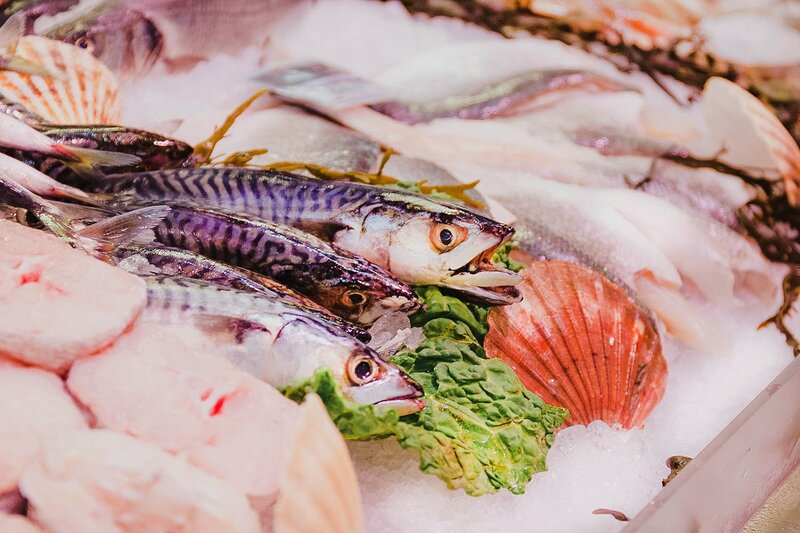 Oily fish have been touted as beneficial in all sorts of conditions, including dementia, rheumatoid arthritis, age-related blindness and prostate cancer. It is important for brain development and function, and behaviour; and eating fish in pregnancy and early childhood appears to be good for child development. However, the NHS concludes that the evidence to date suggests a lack of benefit or requiring further studies. For heart disease and stroke, however, the evidence is strong enough to warrant a government recommendation that we eat at least two portions of fish a week, one of which should be oily. Remember that there are concerns for pollutants building up along the food chain. For these reasons, certain oily fish should be avoided by children and pregnant or breastfeeding women, although it’s considered safe for pregnant/breastfeeding women and girls to have mackerel up to twice weekly. Although for the general population, the benefits of eating fatty fish are believed to far outweigh any risk, always consult your doctor or dietitian for more detailed advice, and find out more from the NHS or the British Dietetic Association. Mackerel can be caught locally using a rod and line off our many beaches, rocks, breakwaters and piers. As they are aggressive hunting fish, they will often “snap” at anything, so a variety of tackle can be used to catch mackerel. Remember, don’t be greedy, don’t take more than you need. This includes using the correct gear – if you’re using a number of lures, make sure your line is strong enough should you hit a shoal. Waste not, want not. 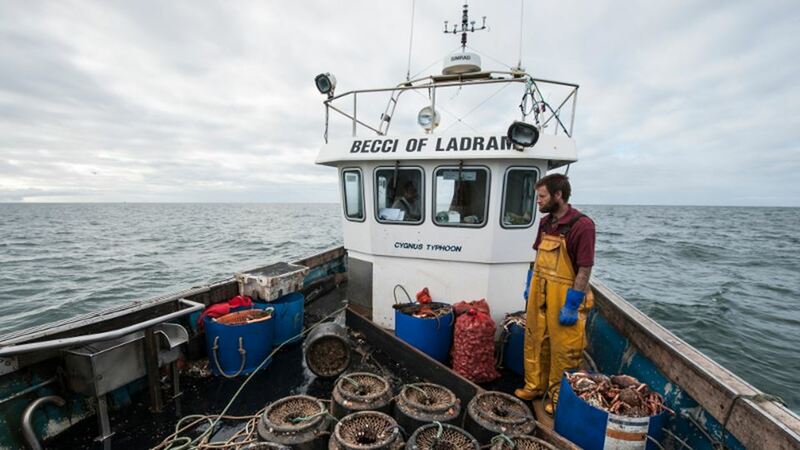 There are two UK-based organisations helping to look after our seas and the fish in it, working with the fishing industry and educating consumers to encourage responsibility when catching and choosing seafood. The Marine Stewardship Council (MSC) aims to recognise and reward sustainable fishing practices. They have developed the MSC standard, a scientific measure of sustainable fishing, and their distinctive blue fish ecolabel is only applied to wild fish or seafood from certified fisheries. The Good Fish Guide is developed and updated by the Marine Conservation Society (MCS) to help consumers choose the most environmentally sustainable fish. 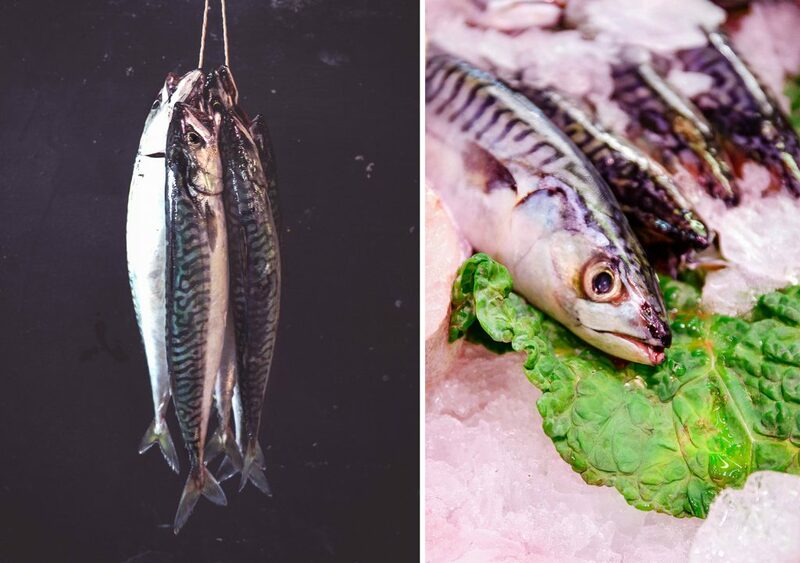 Mackerel is currently rated as 2-3 on their Good Fish Guide, where fish to eat are rated 1 and 2; ratings 3 and 4 mean don’t eat too often, and fish to avoid are rated 5. This list may be revised in mid-late September. This summer, mackerel appear to have been late coming to our shores, and in fewer numbers. The reasons for this may be due to the extreme cold earlier in the year; followed by the hot weather, as more top predator species such as sharks and whales have been coming closer to our shores and eating the mackerel further out to sea. 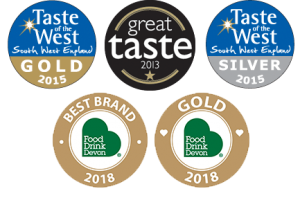 So currently, the best way to ensure that you choose sustainable mackerel is to only buy fish caught locally using traditional methods, or those carrying the MSC’s Blue Label. 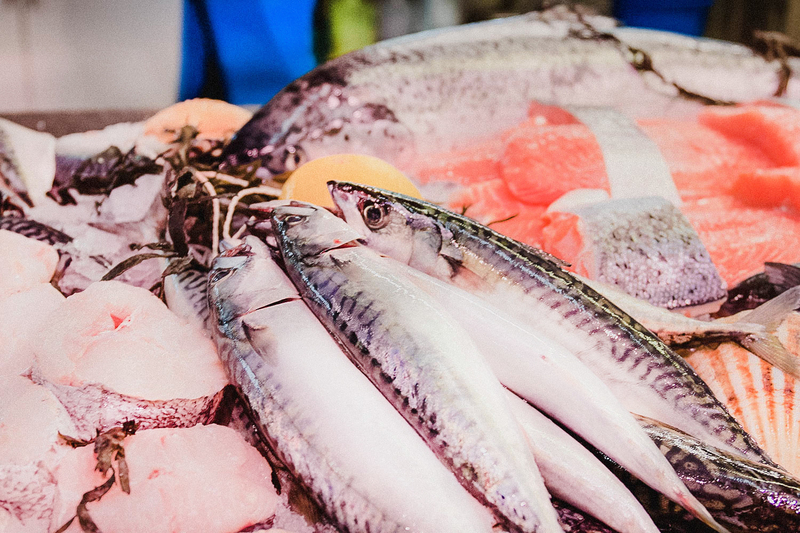 The Marine Stewardship Council regularly produces reports and other documents which are available to the public here, including resources for teachers. The Marine Conservation Society also produces annual reports, available here. They also produce guides to help businesses and individuals get rid of single use plastic straws. The combined Northeast Atlantic mackerel is assessed as one stock, but is made up of three spawning parts: Southern, Western and North Sea. The most recent scientific advice from September 2015 suggests that the stock has full reproductive capacity, but fishing pressure is too high and above the level required to maintain the stock at sustainable levels. 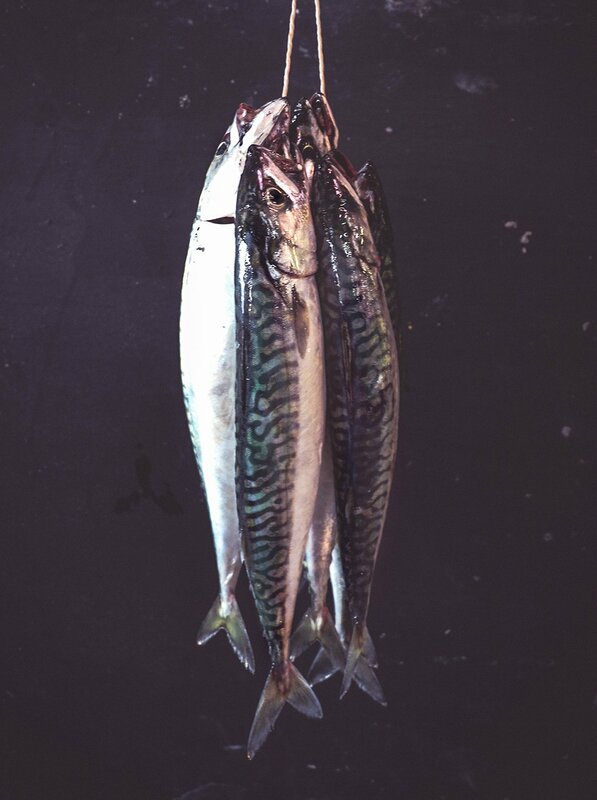 Subsequently mackerel are rated as 2-3 on the Good Fish Guide, where Fish to Eat are rated 1 and 2, Fish to Avoid are rated 5; and ratings 3 and 4 mean don’t eat too often.